My Note: C.M. Muller is a wonderful up and coming writer. The word I think of when describing his work is “atmospheric.” Thank you for the guest post, CM. Pick a plot. Put up a marker. Etch something into the stone. 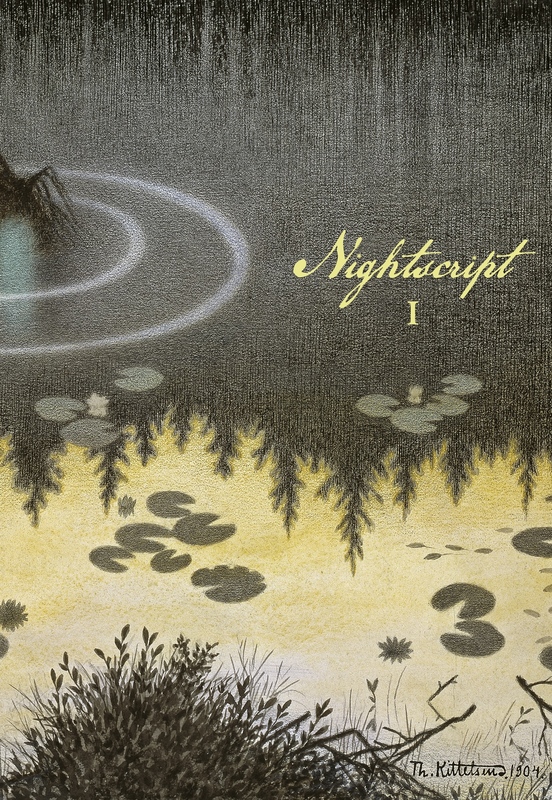 When I announced earlier this year my intent to edit and publish an anthology of strange tales called Nightscript, I must admit that I was a bit petrified as to how such news would be received. My worries, however, were quickly allayed when within minutes of lighting this particular fire on social media, the report swiftly grew to bonfire proportions, with various sectors of the genre community sharing their encouragement and high praise. Humbling, to be sure. While producing an anthology such as this is a time-consuming endeavor, I must say that I have enjoyed every moment of the process. Working with authors has been an absolute delight, and carefully considering how the accepted tales should be arranged in the ToC has been satisfying to say the least, as thrilling perhaps as fashioning some weird symphony. For many years I have been fascinated by book design (typesetting, the components of book construction, etc. ), which I have always thought of as an important layer/element of a book’s success, nearly as significant as the contents housed within. That said, I can only hope that I have succeeded on both fronts. Come October (the official release date of Nightscript), I will discover at long last whether or not I have accomplished the task. The anthology is, above all else, a labor of love, a project which I foresee (well, at this point one can only fantasize) continuing well into the future. There are so many amazing writers currently operating in this genre, and by offering a small place to showcase their work is a privilege and an honor beyond compare. So, how then might Nightscript be defined? Well, I like to think of it as a cross between the esteemed journals Shadows & Tall Trees and Supernatural Tales that isn’t afraid to tread now and again into Black Static territory. These are three publications which I greatly admire. Another inspiration is Stuart David Schiff’s Whispers anthologies of the 70s-80s. To conclude, I would like to thank Michael Aronovitz for allowing me to step (in the lingo of the genre) atop his tombstone for a brief moment to hawk my wares. This entry was posted in Anthology, Blogging, Book Reviews, Books, Super Fantastical People, Writing and tagged anthology, Aronovitz, fiction, horror, tombstone. Bookmark the permalink.